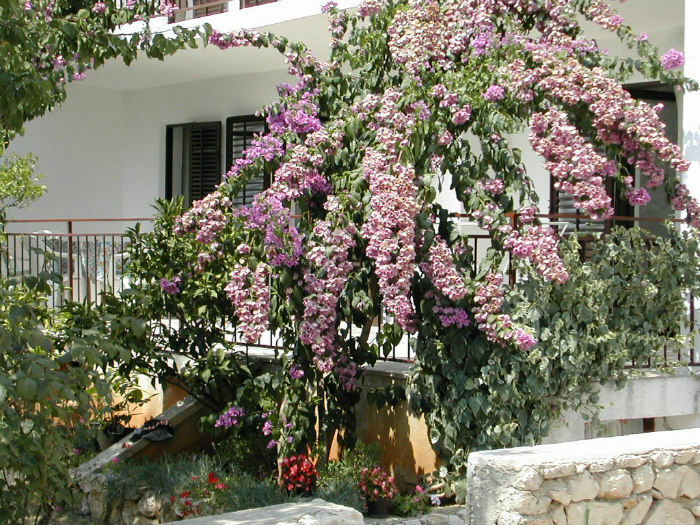 Apartment is located 50 meters from the sea in a quiet and peacefull part of Novalja, not far from town centar. The apartament is equipped with SAT-TV. It is located on the ground floor (100 m²). It can hold 6 persons. There are three big bedrooms, bathroom, toilet, fully equiped kitchen (refrigirator, oven), hall, living romm, big terrace(35 m², garden view). There is private parking with place for three vehicles.